Crowds flocked to Fuze Buffet, the expansive all-you-can-eat restaurants that featured everything from a Mongolian grill to sushi, steak, salad, a sports bar, and a wide variety of desserts. However both locations closed suddenly late last week and several pending lawsuits tell the tale of mismanagement and possible corruption. 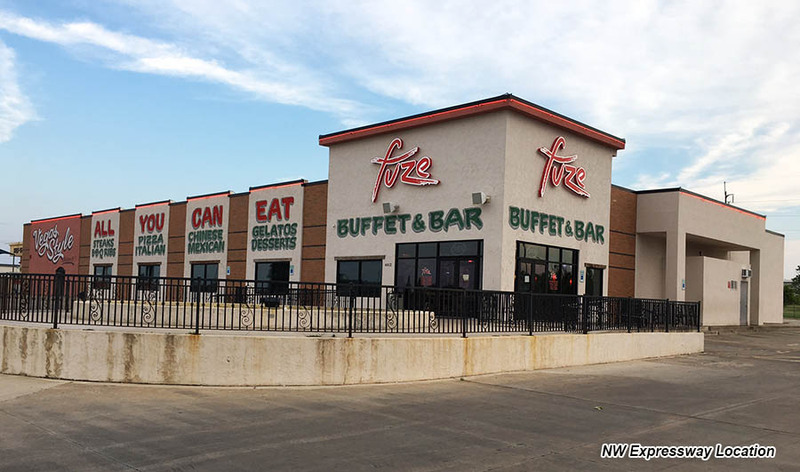 The two Fuze Buffets are managed by Bing Lu and his wife Shu Wu. The pair own 55% of the two restaurants. Lu also owns and operates Taste of China buffet at 7435 S. Western and has done so since the 1990's. In 2000, Lu and a business partner were convicted of various crimes including harboring and abetting illegal aliens, who allegedly worked in near sweat-shop style conditions while only receiving $100-$200 per week for 70 to 80 hours of work. After pleading guilty to associated crimes and tax fraud, Lu was sentenced to a year and a day in federal prison. Prison records show Bing was released from incarceration August 15, 2001. Throughout subsequent years, Lu continued to incur tax liens from the Oklahoma Tax Commission for various businesses including Taste of China. In March of this year a tax lien was filed against Bing in conjunction with a local furniture business. Beginning in 2012, Bing and Wu formed three legal entities for the purpose of opening the Fuze Buffet locations and establishing a real estate investment company. The couple solicited investment funds from two residents of Shenzhen, China. Xian Fu and Haobo Zeng contributed almost $4 million over the last several years in exchange for 45% of the two restaurants and a third each of the real estate venture. 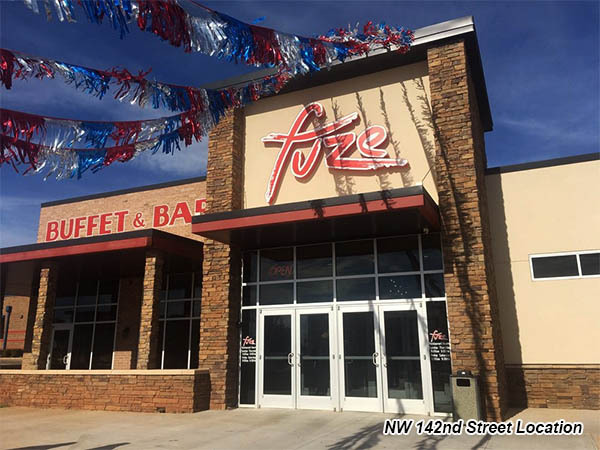 The first Fuze opened at 6506 NW Expressway in May of 2015 and immediately drew big business. But construction of the second location on NW 142nd just east of Pennsylvania Avenue dragged on with long periods of inaction. In June of 2016 Fu and Zeng filed suit. 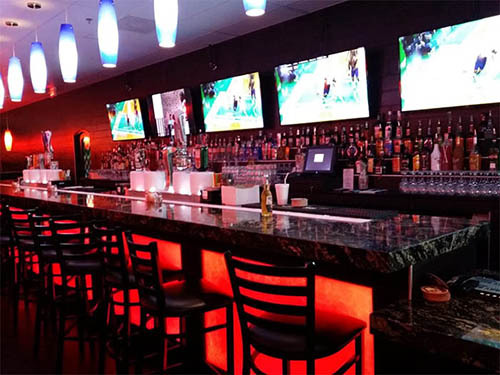 Although the new location did ultimately open, Fu and Zeng claimed they were not getting their share of the profits generated by the restaurants. And they claimed that Lu and Wu, without their knowledge or permission, placed heavy mortgages and other debt on the properties secured by the jointly owned real estate and assets. The debt and mortgages were of particular concern because Lu and Wu allegedly promised to contribute their own funds to the businesses. At the same time the plaintiffs said they were not receiving any income from the operations, they claimed the defendants had been taking money themselves while running up massive debt in the form of two multi-million dollar mortgages, mechanic's liens, unpaid taxes and all sorts of other unpaid bills. In October of 2016 the court appointed a certified public account to serve as Special Administrator to monitor and safeguard assets, while Lu continued to operate the restaurants. The Special Administrator was tasked by the court to monitor all business activities, including cash flow and operation of the two restaurants. A periodic report was distributed to the plaintiffs, defendants and the court summarizing financial matters and other key issues. In response to a series of items in the plaintiff's complaint, the Special Administrator collect several hundred thousand dollars worth of jewelry from Lu and Wu which is being held in a safety deposit box as joint assets of the business entities. Attorneys for Fu and Zeng claim that the defendants bought the jewelry in New York with business funds that were earmarked for furniture for one of the real estate ventures. Over the next several months the Special Administrator reported that Lu and Wu had not complied with demands for complete historic financial data in order to reconcile the flow of funds in and out of the three entities. Even with the assistance of the court-appointed CPA, payroll taxes and mortgages went unpaid as existing funds and revenues were insufficient to serve all expenses and debts. On May 12th of this year, after first working with the Special Administrator to resolve, Frontier State Bank filed for foreclosure on the 142nd Street location citing default on a $3.2 million mortgage. On June 2nd, the plaintiffs filed to remove Bing Lu as the manager of the two Fuze locations. Noting that such motion wasn't likely to be heard by the court until August and that the restaurants were effectively insolvent without enough future cash flow to remain in operation, the Special Administrator filed to be discharged from his oversight duty, noting his own fees had gone unpaid. On July 28th the plaintiffs field a motion for a jury trial. On August 1st, Quail Creek Bank filed foreclosure paperwork for the NW Expressway location citing default on a $2.6 million mortgage. On August 3rd, the plaintiffs filed a motion to appoint a receiver and a motion for temporary injunction. 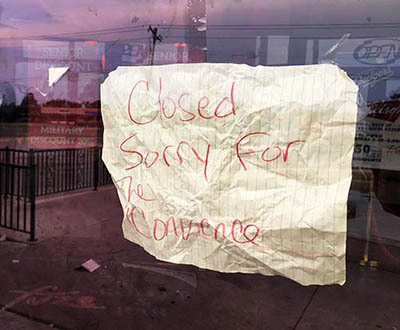 That same day, both Fuze restaurants were closed to the public. In the still-pending lawsuit that may be headed for trial, the plaintiffs claim that they have invested approximately $4 million in the Fuze restaurants and the real estate venture. They also claim that $8.2 million in debt has been incurred by Lu and Wu with virtually no remaining assets of value other than the underlying real estate which is now subject to foreclosure actions. In addition to the two mortgages totaling almost $6 million, OKCTalk confirmed numerous other debts owed to the Oklahoma Tax Commission, contractors and the designer of the restaurants, TAP Architecture. The plaintiffs claim Lu and Wu have appropriated millions for their own use. Through their attorneys, Lu and Wu dispute many of the claims. In one of the last reports by the Special Administrator there was mention of on-going efforts to find buyers for each Fuze location. As of Saturday night, Taste of China was open and doing a thriving business. Although both Fuze locations seem to be permanently closed, the case involving all these matters is likely to continue for some time. Watch the evening news on KFOR-TV tonight to see an on-air broadcast of this story.